These ninja spies of Tsukikage (Moon Shadow) release their limiters by eating spice. I'm sure there's more to it since the title is spelled Spyce! The prologue quickly introduces what these Spyce Girls do (it's a pun, get it?) against villains and how new girl Momo has excellent eyesight and a sensitive nose. Momo is a 2nd year in school, but all of friends from last year got assigned to different classrooms. Luckily(?) for her, Goe and Mei overheard her talking about their operation the night before and decided to recruit, er, befriend her. Momo has a special skill of tasting emotional states and other health conditions from a girl's skin. Try it with boys, I dare you Momo! 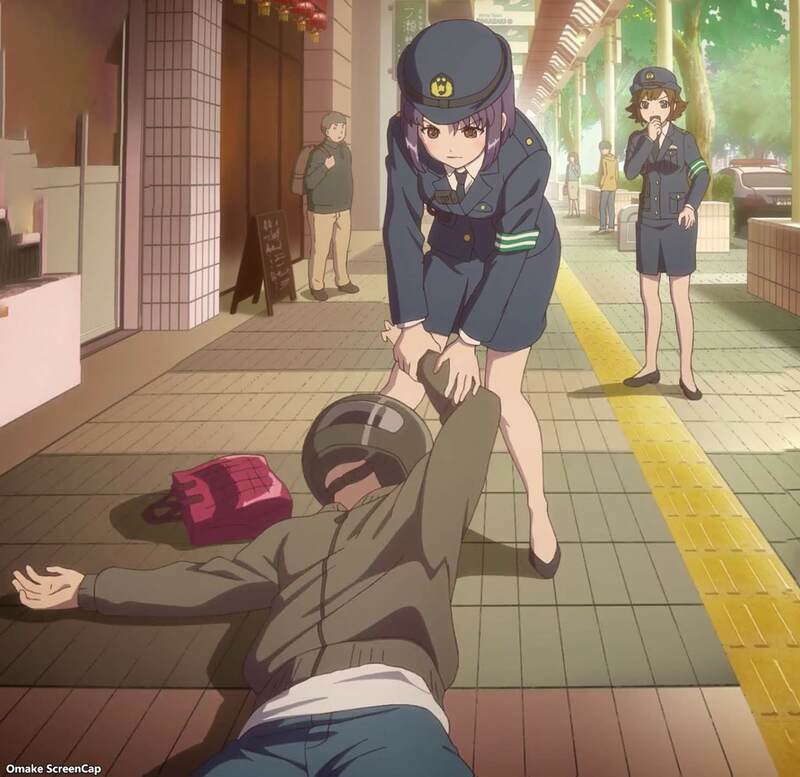 Police Officer Ayumu worked with Momo's late father. She's now like a big sister to younger aspiring police lady. Tsukikage decided to go for the hard sell by including Momo in their operation against the muscle ladies who captured Ayumu and her partner. First year Fu appears to have some sort of jealousy against Momo. Yes, there is plenty of cutesy yuri, which is expected from character designs similar to YuruYuri.